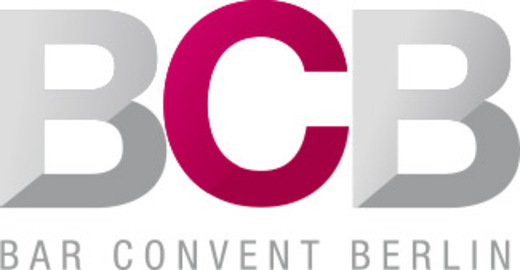 Visit Sahm at Bar Convent on 6th/7th of October 2015, STATION BERLIN, booth 3/Be02. Brand-exclusive glass solutions, innovative glass and decor design for the international spirits industry and modern glass concepts for the craft beer scene are the focus of the presentation. We look forward to meeting with you in Berlin! SAHM is presenting their newest glass and decoration designs at BrauBeviale in hall 1 at booth 315. SAHM is presenting their newest glass and decoration designs at BrauBeviale in hall 1 at booth 315. Featured are also the award-winning Dayton tumbler and the Craftsman glass designed for the craft-beer scene. A special highlight of the show are exclusive tastings for visitors with world champion sommelier Markus Del Monego. A refined and relaxing indulgence: the Good Design Award™ winning Dayton tumbler from SAHM with its simple yet sophisticated design meets the highest requirements for the enjoyment of a variety of beers. Another highlight of the show is the Craftsman glass. Optimized in shape, it helps differentiate and enhance the aromas of different types of beer. The company is also showcasing exclusive high-quality glass solutions developed for renowned breweries. In addition to the trio of glasses created for the Krombacher brewery – a relief-print glass, tankard and goblet – SAHM will introduce the wheat beer glasses developed for Schöfferhofer. These glasses are rendered unique by their individual color gradients. Both solutions are an innovation at the SAHM booth both in terms of the actual glass design and printing technologies used. The fair presentation also includes a variety of exclusive glass and decoration ideas celebrating the 500th anniversary of the German purity law for beer as well as the 2016 UEFA European Championship in France. World champion sommelier Markus Del Monego will also be hosting beer tastings in the newest SAHM glasses. Sahm has added another glass to its craft beer range: the Craftsman! The design is based on the existing Sensorik model and its sensory features have been tested and evaluated by Markus Del Monego, world-champion sommelier and Master of Wine. ‘The unique form of the new Craftsman glass allows the aromas of all sorts of beers to unfold in a very special, multi-facetted way. Particularly fruity and floral scents are intensified, and the individual aroma of each craft beer is brought out. The enjoyment of the drinking experience is guaranteed by the glass shape, which allows the beer to wash almost simultaneously over every taste bud. All the individual characteristics and qualities of each beer are made clear. The drinker is treated to a complex, intense and yet fresh sensation in their mouth’, is Del Monego’s verdict on the sensory advantages of the glass. 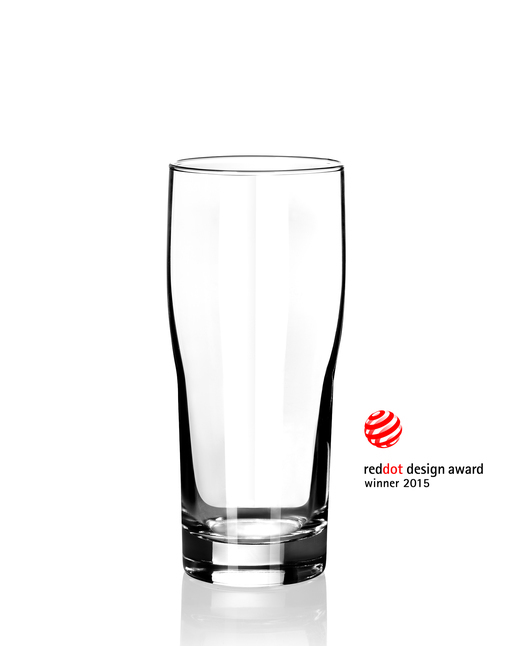 SAHM Brewhouse glass wins Red Dot Design Award 2015 The SAHM Brewhouse tumbler is now the proud owner of the famous red dot: this year, the craft-beer glass has won the Red Dot Award in the category product design. This is the first award for the glass, which has been on sale since 2014. The prize will be officially awarded on 29 June 2015 at the Aalto Theatre in Essen. The 38 members of the specialist jury particularly praised the interplay of sensory characteristics and functionality. The Brewhouse glass was designed by Sylvia Weber for SAHM and, with its timeless design and clear stylistic idiom, precisely fits the needs of the international craft beer scene. The physical shape displays elements of traditional beer glasses and is pleasant to hold. The glass becomes slimmer in the lower area, which allows optimum gas release and support for the head. The beer looks fresh and appealing. The rounded form in the upper area provides plenty of space for the beer’s full aroma to unfold. The glass walls and the thick base make the glass look high-end and sturdy. 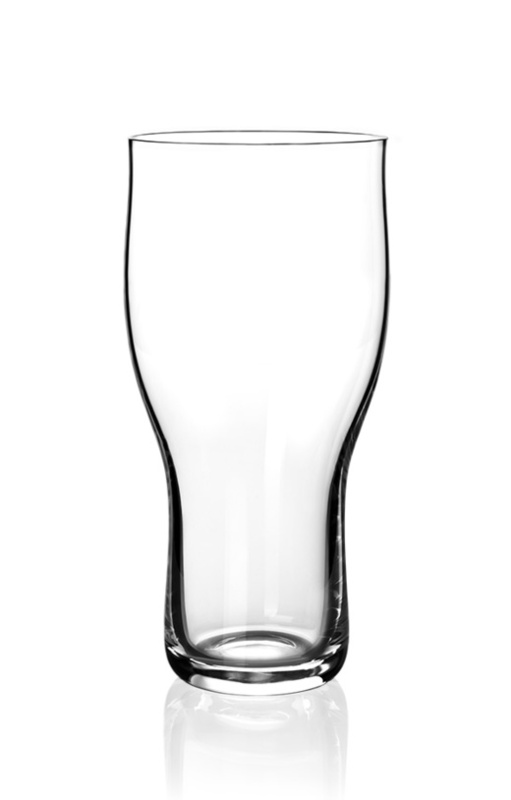 The tumblers are particularly suited to the urban bar scene as they are stackable and easy to clean and pour draught beer into. 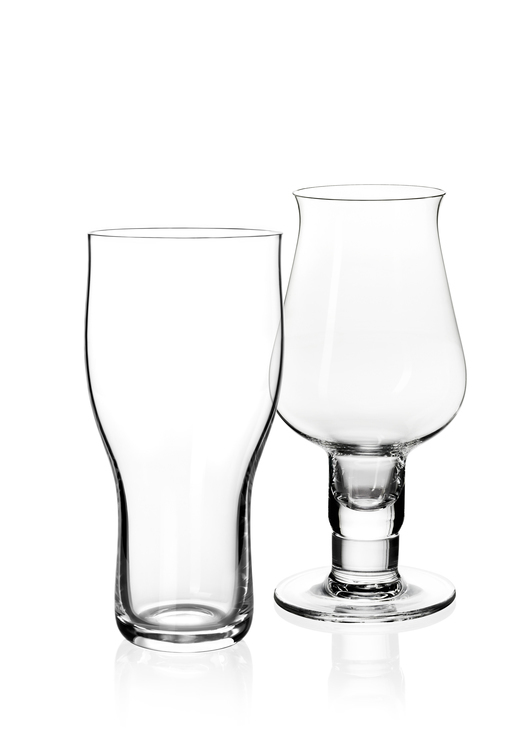 The Brewhouse glass is machine-blown and available in five sizes from 0,2 to 0,5 litre. The Red Dot Award is given out annually and is one of the world’s leading design competitions. It honours products and solutions that excel in evaluation criteria such as innovation, functionality and attractiveness. The new Hamburg goblet permits optimum development of a beer's aroma and an accurate comparison of beer color. SAHM developed the glass exclusively for tasting and evaluating craft and specialty beers. The glass itself has been optimized according to sensory criteria and is made of high-quality crystal glass. 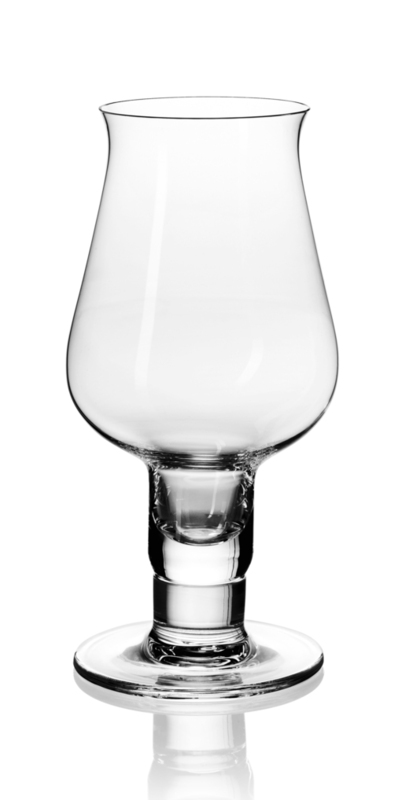 Its most striking design feature: the goblet's stem is hollow and thereby allows the carbonation to rise further. The content of the glass with its numerous aromas is enriched. Also very popular in the young craft beer scene is the Dayton tumbler. Because of its very positive evaluation in terms of looks and feel, SAHM has now launched automatic series production of this exclusive glass. Craft beer and other specialties are increasingly shaping the German beer market. At the same time, demand for greater diversity in the glass shapes used in tasting and the sensory evaluation of beers is growing. SAHM has developed a range of innovative solutions specifically for this purpose. With the new Hamburg goblet the company provides a glass shape that supports the enjoyment and accurate analysis of the handcrafted specialties. The special feature of the glass is its hollow stem. It extends the distance that carbonation travels through the glass to the nose. The bubbles take up aromatic substances and intensify the taste sensation as the beer is consumed. The beer in the stem can also easily be judged for color. The Hamburg goblet also combines the classic features of a tasting glass. These include the bulbous bowl that narrows at the top as well as its slightly flared edge. SAHM developed the new glass together with the reigning world-class beer sommelier Oliver Wesseloh. The design of the Dayton tumbler has been so popular that SAHM has now decided to start automatic series production to meet the growing demand for the modern glass shape. The young and trendy shape guarantees straightforward beer enjoyment. It is available in standard sizes from 0.2 to 0.5 liter.